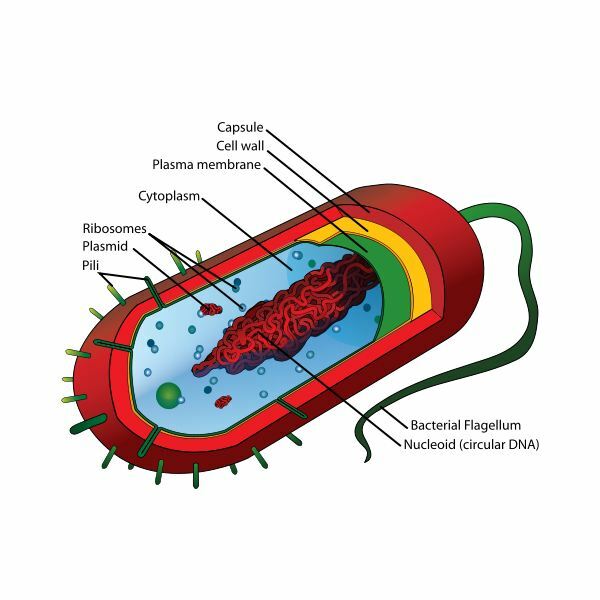 Prokaryotes are thought as one of the simplest forms of creatures on the earth today. Even though some prokaryotes later evolved in eukaryotes, they still reproduce using a process called binary fission. Less complex than eukaryotic reproduction, binary fission allows multiple types of prokaryotes to reproduce rather quickly and even to form innumerable societies. Before prokaryotes are able to reproduce, they have to meet certain guidelines that allow them to successfully complete the operation. For example, a prokaryote first has to reach a certain size in order to split into two different cells. This is important because without the necessary nutrients, the cell may not have the ability to reproduce if it is too malnourished. Another condition that influences prokaryote reproduction is the environment. For example, if the temperature is too hot or cold, this may impact the rate of reproduction of binary fission. If the conditions are ideal however (such as in a laboratory setting) prokaryotes have the ability to rapidly produce from millions to billions of new cells. chromosome labeled as the "origin of replication." From this step, the replication continues with a vast amount of proteins called "replication complexes" that help in the replication process. Following this process, each DNA copy attaches its "origin of replication" to the plasma membrane in order to start the process of moving apart. Once these two "origins" are attached, the two copies of DNA begin to elongate and the creation of plasma membrane begins to take place between the two copies of DNA. This creation pushes the two copies of DNA separately and allows them to become their own entities. The last step is known as cytokinesis. 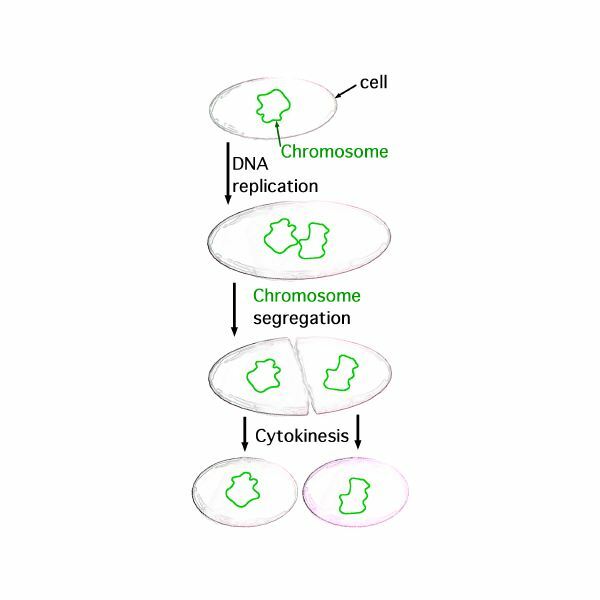 In review, we know that there are two separate copies of DNA in the prokaryotic cell; however, the cell must physically separate itself in order to propel the new DNA copy in the daughter cell. The first step of cytokinesis starts with the cell membrane "pinching" in on itself in order to divide the cell. During this process, the daughter cell begins to construct physical cell necessities such as the cell membrane and the cell wall. Finally, the process ends with the daughter cell completing its cell wall which separates itself from the original cell. It should be noted that the new daughter cell has received exactly the same genetic material from its parent making it a "clone" of the parent. In conclusion, the prokaryotes' reproduction of binary fission is very simple compared to eukaryotic cells. With the right conditions, prokaryotes have the ability to mold vast amounts of new daughter cells in the right environment. Even though this is a rather simple form of reproduction, prokaryotes have the advantage of being able to effectively become resilient to harmful conditions because they have the ability to pass down identical genetic information to new daughter cells. This series provides some vital information about prokaryotes including some of their functions and how they reproduce.